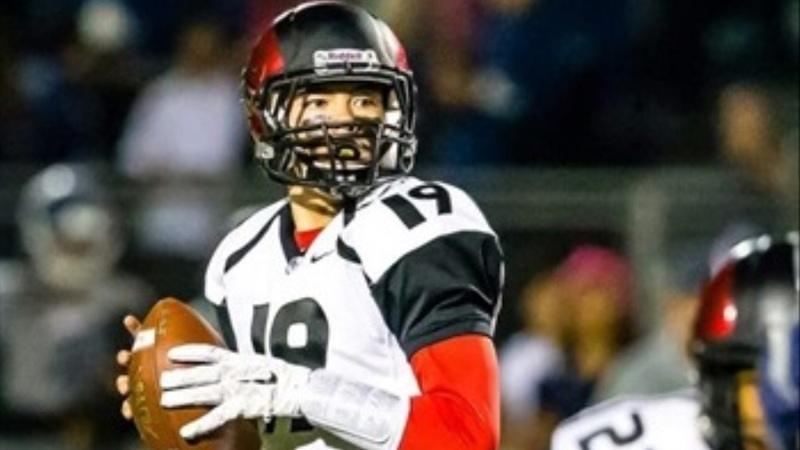 Hank Bachmeier‍ is widely considered one of the top quarterbacks in the class of 2019. The four-star Murrieta Valley (Murrieta, CA) standout has drawn interest from the likes of Alabama, Oklahoma, and USC, but he ranks Cal high on his list. “I'm still wide open, but there are schools that stand out and Cal is one of them,” he said. “Obviously from an academic standpoint, it's one of the best universities in the world. And then from a football standpoint, as far as quarterbacks go, they have great tradition there.